Week 10 of Season 5 includes another challenge which tasks players with finding a secret Battle Star. 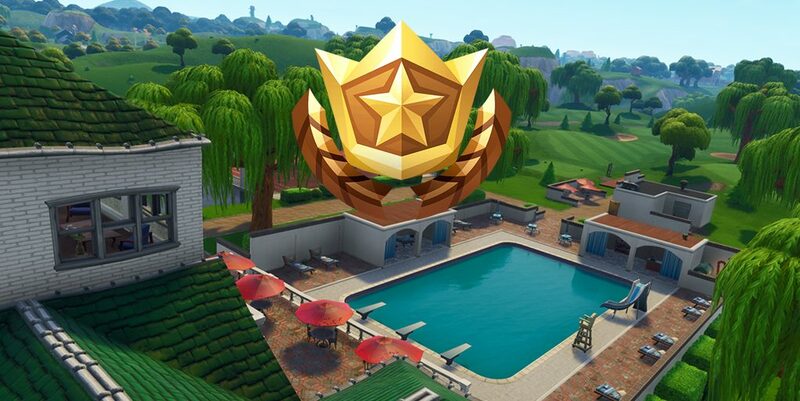 With a clue of ‘Search between a covered bridge, waterfall, and the 9th green,” the Battle Star could only be near one location – Lazy links. The clue is more straightforward than it may seem at first, with players needing to find the center of the tree named locations. It can be found just East of Lazy Links, right before reaching the main river which divides the map. An exact location for the Battle Star can be viewed in the map below. A Battle Star will appear out of the ground once you approach the location, and will need to be collected in order to complete the challenge. Like other challenges, you must either die or obtain a Victory Royale for the progression to be counted. The short tutorial below from RSDtv shows the exact location if you are still struggling. All of the Season 5, Week 10 challenges in Fortnite: Battle Royale can be viewed right here.